I found this recipe among the collection and think it’s a great way to use up the egg yolks leftover from pavlova making. I usually end up making a very, very yellow omelet, but I like this idea better. 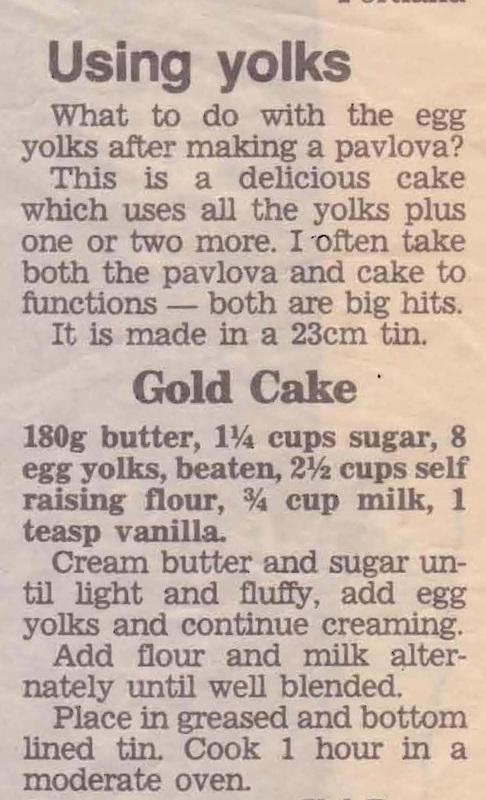 This entry was posted in All Recipes, Cakes and tagged 1980s, butter, egg yolks, flour, gold cake, milk, sugar by bebsrecipes. Bookmark the permalink.